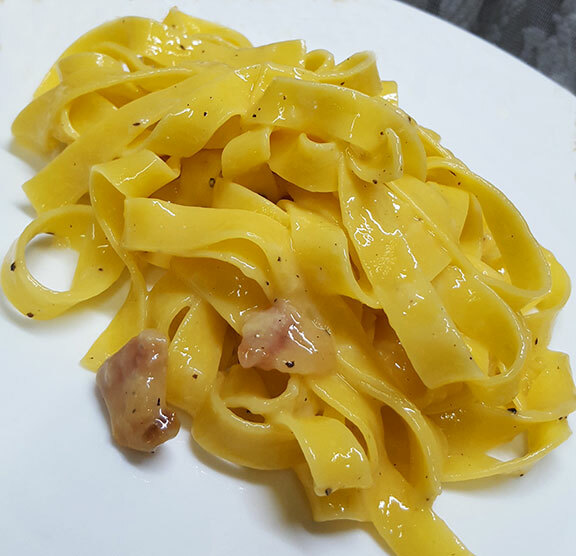 Carbonara is so simple yet so easy to mess up. I’ve played around with different recipes and seen many video tutorials online. Most recipes call to add the cheese/egg mixture into the hot pan; and this is when it gets very tricky— I usually end up with a dish that looks like scrambled egg pasta with pancetta. To avoid that, I prepare the cheese/egg mixture in a mixing bowl. I also don’t drain my pasta, I simply just transfer the pasta in the pan where I cooked the pancetta to let the pasta absorb the fat and flavor before transferring it to the bowl with the cheese/egg mixture. 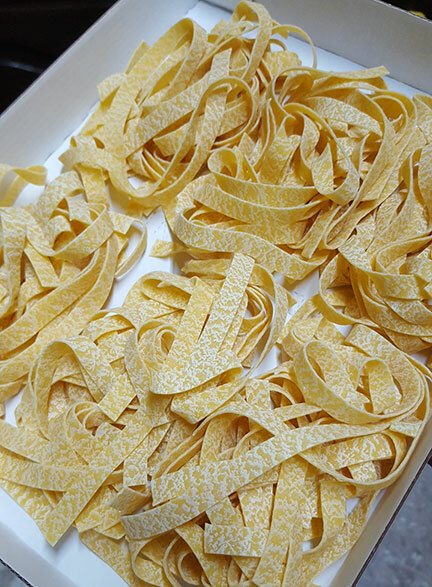 It is also very important to use fresh grated pecorino. The ready grated ones lack flavor and doesn’t have the ability to give the dish that full creamy texture combined with the egg. I’ve used the pre-grated stuff and it just made the whole carbonara dry up. This recipe is good for 2 as a main dish or 3 as a side dish. 1. 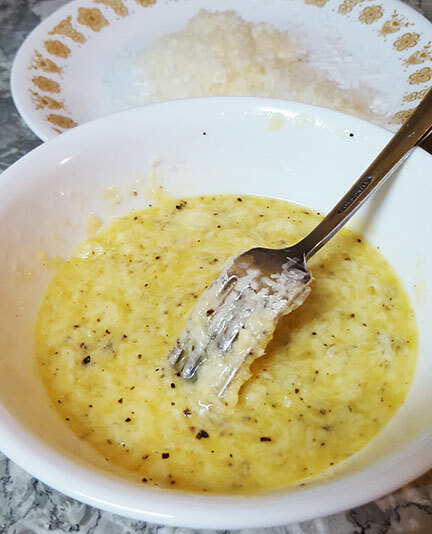 In a large mixing bowl, beat 2 eggs, add half of the grated pecorino and some fresh ground black pepper. Set aside. 2. Heat oil in the pan and cook pancetta until crisp. Turn off heat. 3. In a separate pot, cook the pasta. Quickly transfer the pasta into the pan with the pancetta, turn on low heat to toss the pasta. 4. Transfer the pasta into the large mixing bowl, with the egg mixture and toss. Add the remaining grated pecorino, some fresh black pepper, mix well, then serve immediately.